The definition of a lead is a common area of disagreement between marketing and sales. Marketing is often focussed on generating relevant response based on interest in a certain topic. But the sales team is only interested in those leads that are ready to talk business. To align marketing and sales in terms of lead generation we therefore need to look at the different stages of a lead. 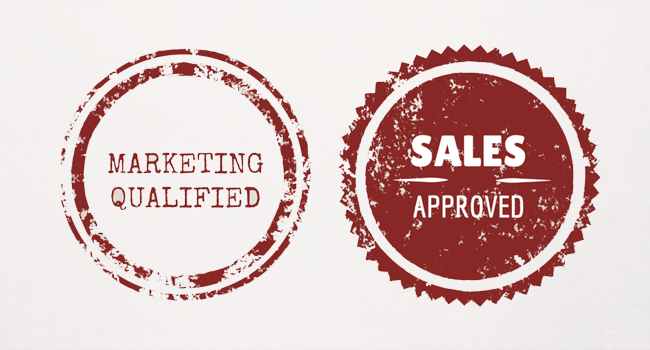 It’s good to realize that marketing will look at these stages in a different way than sales. As sales typically looks at the ‘leaking’ sales funnel, while marketing likes to talk about the stages in the buyer journey. But luckily both departments will have an idea of the difference between a marketing qualified lead (MQL) and a sales qualified lead (SQL). Market: the entire market the that organization is focused on. Suspects: the companies that are potential customers within the target market, because they, for example, fulfill a number of specific criteria. Leads: marketing qualified leads includes companies in the category of ‘suspects’ that have indicated that they could be interested in the products and services of the organization. Prospect: sales qualified leads are prospects in the sales funnel. These includes companies that have shown a serious interest in the products and services of the organization. Customers: companies with whom there is a customer-provider relationship. When there is a good overview of the percentages of this leakage, sales management can better adjust the sales process through KPI’s: for example, when it’s known that 50% of prospects opt for something else, or 50% of qualified leads do not seek any serious form of contact, or when the quality leads are required to generate one sale. The organization can take steps to improve these conversion ratios, modern marketing can play a role in this. Depending on the specific situation, sub qualifications can be added to the sales funnel management. The sales funnel is mirrored as soon as the sale takes place. Conversion takes place with existing customers: positive conversion with repeat business (another sale) or additional services, and negative conversion when the customer breaks the customer-provider relationship. Satisfied customers can be converted to fans. The ultimate scenario then is that they promote the organization and recommend products and services actively. Repeat: the number of customer that repeat-buy. Churn: the number of customers that cut ties. Fans: the number of customers that reach a particular level of customer satisfaction. Discovery: The starting point is the recognition or acknowledgement of a problem or challenge. Following that is acceptance that a solution must be found. Consideration: Next it’s necessary to find solutions. Internally, the wishes and requirements are reviewed and externally all the possibilities are lined up. This search generally ends with the preference for one, or a limited number of, suppliers. Decision: Finally, you move toward the execution of a choice. The chosen option must be justifiable and give the feel-good factor. Implementation: After the actual purchase, the product or service needs to be implemented or put into use. As supplier, it’s key to optimize this process. Usage: Lastly, the service or product is put into use. Now it’s essential to turn users into fans! There’s often a long way to go to get from incoming leads to a sales qualified lead. As modern marketing uses as a starting point the buyer journey of the customer, the first contact (or conversion) can happen at an early stage of the buying process. When a suspect downloads a trend report, it can be a signal that in the coming year there will be significant demand for certain products or services. At this early stage of the buying process however, it can still take a long time before the leads is sales qualified and interested in a quote or contact with an account manager. The follow-up on modern marketing leads needs to take into account the lead status. In this early stage of discovery, the potential customer can still be busy trying to figure out their actual need in the situation. Content that helps them along in this process is relevant. A good modern marketing program can help the potential customer, for example via a newsletter, whitepaper or webinar. The structures development of potential clients, without the need to currently buy, is also known as lead nurturing. In this nurture process, somewhere in between generating a lead and a the readiness to talk to sales, the lead passes from the marketing team to the sales division. In order to determine the timing, a division can be made between marketing qualified leads and sales qualified leads. Marketing qualified leads (MQL) – These are leads with a low account score, for example because they are in an early phase of the buying process. This pool of leads lends itself to lead nurturing initiatives, it’s the marketer’s primary responsibility to develop these leads further. When the lead- or account score reach a certain point, they are taken over by sales. Sales qualified leads (SQL) – When there is an actual need, the function is relevant and the lead fulfills the necessary criteria, it’s a case of a sales qualified lead. This is the moment the lead is passed on to the sales department. The coordination between marketing and sales is crucial for good conversion. Therefore, it should be clear to everybody when a lead is pass on from marketing to sales. Aside from that, the follow-up by the sales division needs to be in place and tightly managed. Leads can cool off quickly and evaporate. The theory, however, is less manageable than in practice. The trend report that was aimed at business decision makers in the discovery stage, could be requested by a technical decision maker in the consideration phase. Or organizations that are regarded as prospects can suddenly delay the procedure or, even, call the whole thing off. The reverse can also happen, where unfamiliar parties suddenly convert to hot prospects: they had informed themselves elsewhere, but want to see what alternatives there are out there and display an actual need for a service or a product. In short, what appears to be a structure one minute, can be completely out of date the next. Lead management is a dynamic process, in which an actual insight into the lead status of potential customers is essential. There are certain ‘lead scoring’ techniques to gain valuable insight into the lead status. Lead scoring is a method that rates potential customers against a sliding scale in which the value of the lead for the organization increases. Depending on this lead score, subsequent steps can be determined within the commercial process. If the score is low the leads can be qualified as MQL, then a program of lead nurturing can be implemented and the lead can be invited, for example, for an event or a webinar. If the score is high, then the leads is sales qualified and the sales team can be called upon. The best techniques for lead scoring make use of explicit, as well as implicit, information. Explicit scores are based on information about the lead, for example the size of the organization, the industry or role. Implicit scores are based on the behavior of the lead, for example the websites they visit, ’email opens’ and whitepaper downloads. A new lead score is based on activities of the leads on social media, the so-called ‘social score’. Many investments involve more than one decision maker within one organization: the decision making unit. Therefore it can be relevant to make known the activities of individual leads from the same organization surrounding the same themes. When a marketing manager for example, downloads a whitepaper about the integration of email marketing and CRM, and the IT manager in the same organization downloads an article about ‘CRM as a service’, this can indicate that a CRM project is taking place with the company. 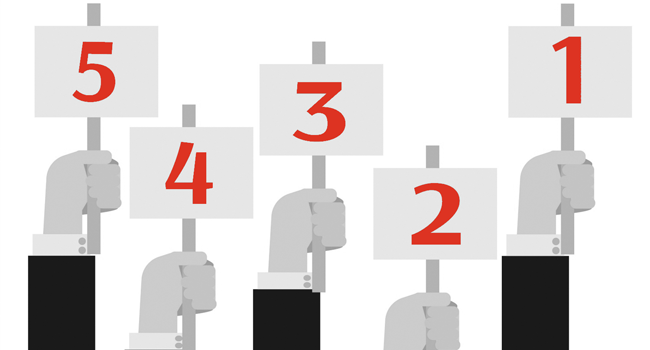 Account scoring brings all these signals at an organization together in the account score. In summary, it can be said that the choice in KPI’s whereby the modern marketing initiatives can be measured, depends on the modern marketing objectives. Aside from that, the KPI’s differ per phase in the buyer journey. The table below gives an overview of the most common occurrences. In an ideal situation, the ROI of the modern marketing initiatives is steered in the mid-long-term, in financial terms. A basic formula can be, for example, the costs of modern marketing as a percentage of the achieved revenue. Modern marketing activities are aimed at the entire buyer journey. When, in the initial period, marketing leads are being generated that are at an early stage in the buyer journey, but there are relatively little sales qualified leads or customer conversions, the turnover cannot yet be measured. The period for measuring turnover should therefore be aligned with the buyer journey. When setting up modern marketing, there will be a limited amount of content in the start phase. In subsequent periods previously created content can be capitalized upon, which has a positive effect on the ROI. Finally, it should be taken into account that turnover cannot always be assigned to one channel. A modern marketing lead, after all, could have converted to a customer by recommendation from another customer, or a customer that enters upon recommendation could have regularly read a particular blog without this being included in the methods for measuring. The method and the timing of measurement, therefore, are somewhat arbitrary if no foolproof systems and definitions are used, for measurement purposes.